Power on delay is the amount of time between when a device first powers on and when it will begin responding to commands sent to it. 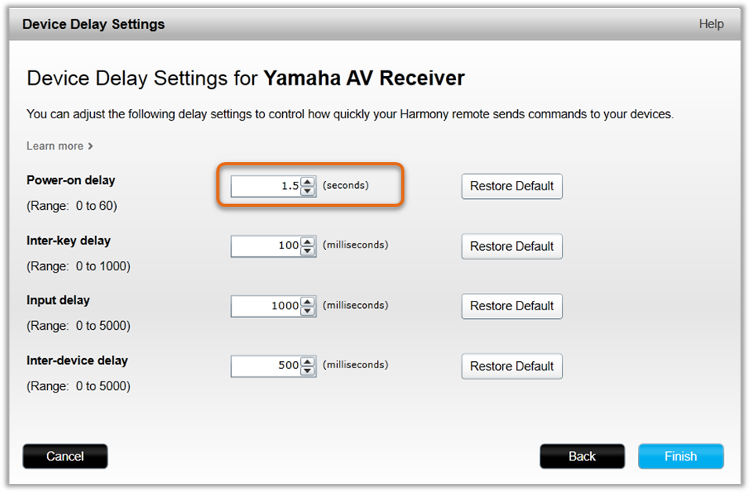 Increase the value to lengthen the time between Harmony turning on the device and when it sends the next command. Select the device to be modified. Use the left and right side screen buttons to decrease or increase the value in milliseconds. 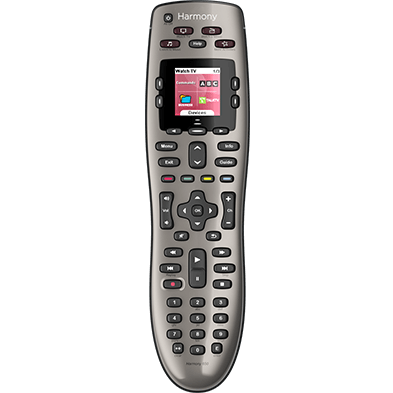 From your Harmony remote, press the MENU icon in the lower right of the screen (three horizontal lines). Select SETTINGS > DEVICES > DELAY SETTINGS > CHANGE DELAYS. Use the slider to adjust the power on delay. From the Harmony app, press MENU. 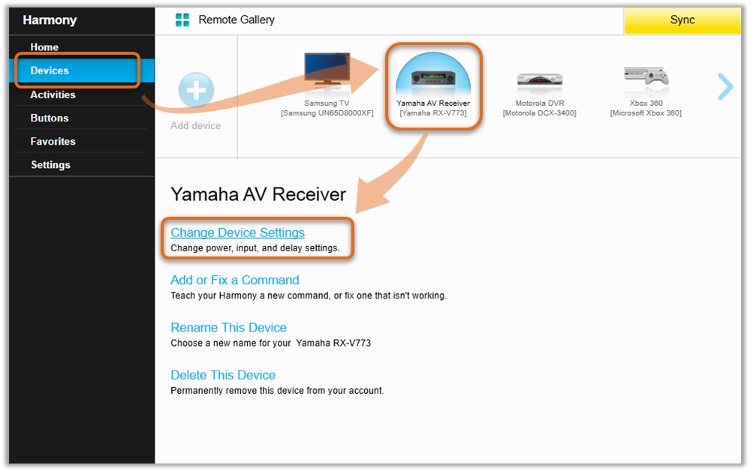 Select HARMONY SETUP, ADD/EDIT DEVICES & ACTIVITIES, then DEVICES. Press > in the top right to confirm the changes. Sign in using the MyHarmony desktop software. Select your remote from the gallery. 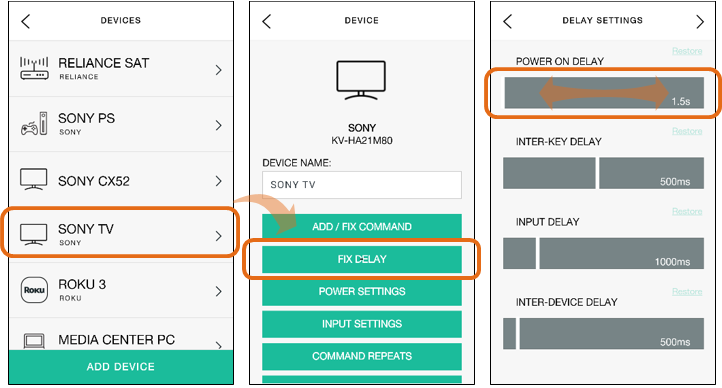 Select Device delay settings and click Next. Adjust the Power on delay value. 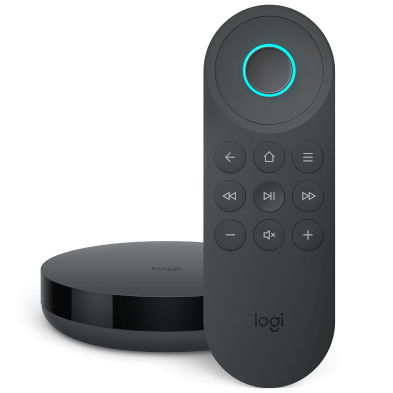 Select Finish and remember to sync your remote after making any changes. 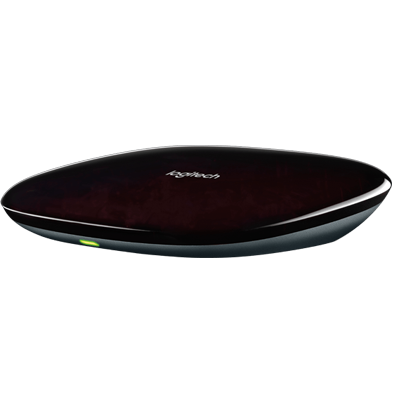 Launch the Harmony Express app and tap Device Settings. Select the device you'd like to modify, followed by Modify Start‑up. Finally, tap Delay and use the slider to adjust your delay to the desired setting.